Andrei Smertenko is leading the way on the science of long division; long division in trees, that is. The Washington State University molecular biologist studies the cellular architecture of plants in the hopes of helping grow renewable resources faster. For example, wood is made up of cells, called xylem, and they do something no other cells do: they divide vertically. But that takes a lot longer than normal cell division. Helping with these divisions are tiny cellular machines called phragmoplasts. Only land plants and their evolutionary ancestor algae make phragmoplasts. 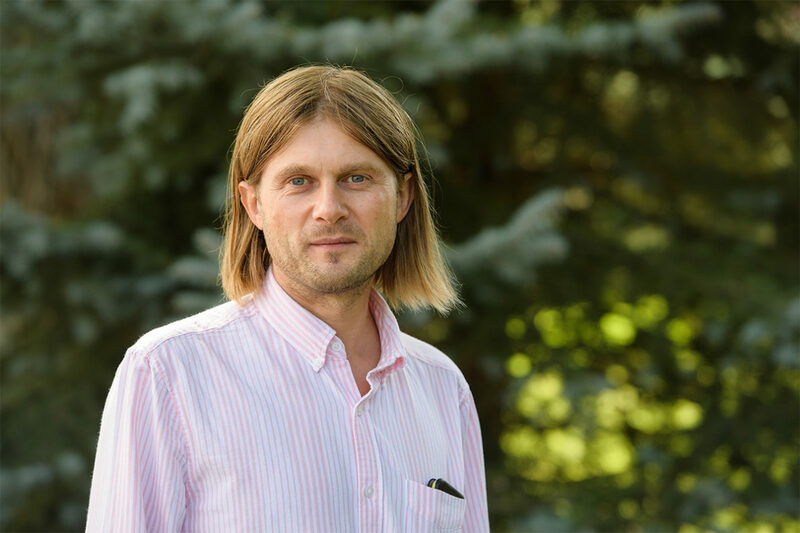 Smertenko recently received National Science Foundation (NSF) CAREER program funding for this research into phragmoplasts. The award is for nearly $1 million, spread over five years. The CAREER program offers support for “early-career faculty who have the potential to serve as academic role models in research and education and to lead advances in the mission of their department or organization,” according to the NSF website. “It was an important evolutionary advance that minimized junctions between cells in the woody tissues, thus allowing land plants to grow taller,” Smertenko said. Trees also sequester atmospheric carbon dioxide, which means another benefit of fast-growing trees is alleviating the greenhouse effect. The NSF-CAREER award funds more than just pure science; it also supports extensive programs for promoting science among the public, Smertenko said. As part of this award, he is partnering with colleagues at WSU Native American Programs, Lewis-Clark State College, and Walla Walla Community College to do lectures and provide training for high school and undergraduate college students in his lab. “We want to show the link for these students between studying fundamental science and how it can contribute to helping solve existing problems,” Smertenko said. Groups of students will visit WSU and learn about various research projects, working on interactive experiments like DNA analysis or using microscopes to view xylem cells, and generally communicating what Smertenko and his team do. He will also employ three undergraduate students in his lab each summer to work on research projects, providing hands-on science work experience. The NSF award allocated a total of $100,000 of the CAREER award for this public outreach.